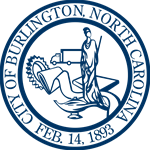 Welcome to the City of Burlington's Administration Department! Our staff is equipped to handle citizen concerns, fulfill public records requests, and to foster communication to our City Council. You can contact us at 336-222-5020 or at our office at 425 S. Lexington Avenue.